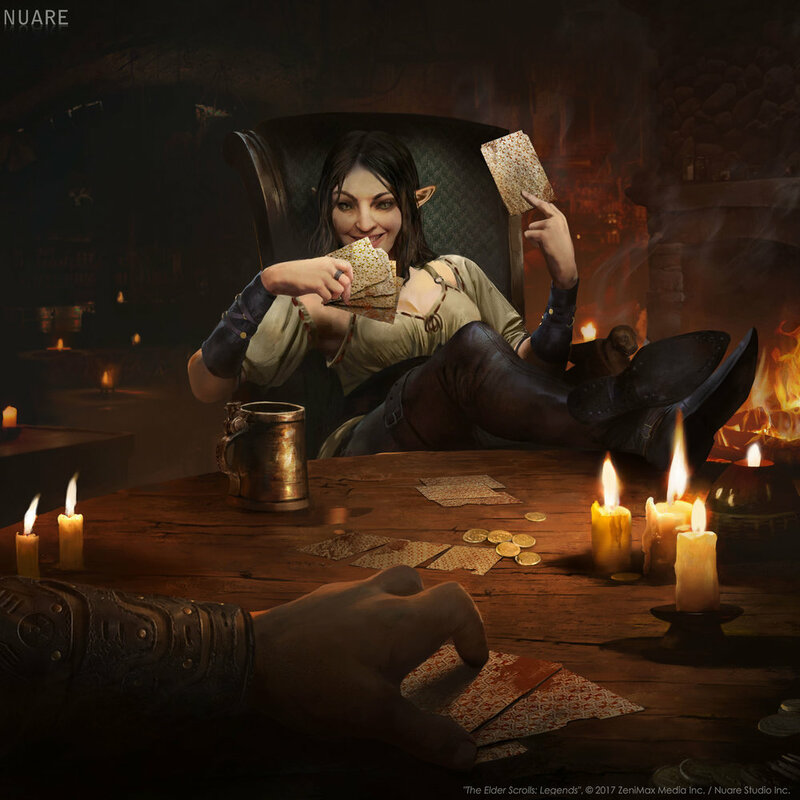 2019 is going to be a BIG year for The Elder Scrolls: Legends. As part of our ongoing efforts to communicate development plans to players and fans, we’ve posted a release roadmap. We will continue to update the community with further details about upcoming content and game fixes as we have them. 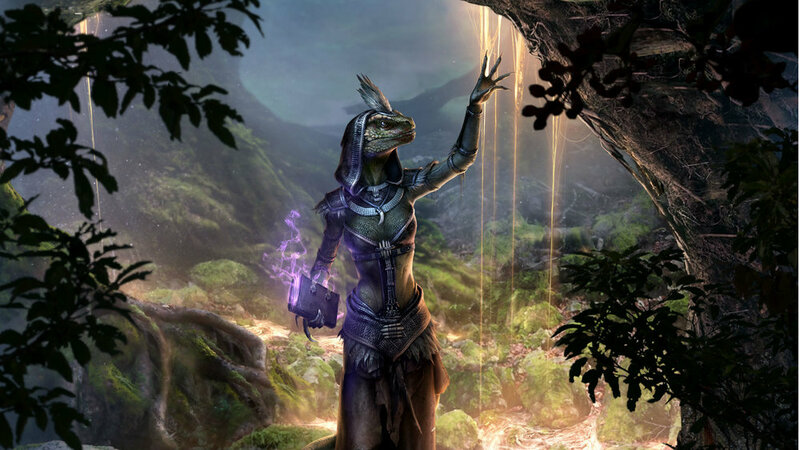 Be sure to follow The Elder Scrolls: Legends on Twitter, Facebook and Twitch for the latest and greatest info. Thanks for playing, and may fortune favor you in the Alliance War! Empower: When your opponent takes damage, actions with Empower increase in effect for the turn. Expertise: At the end of your turn, if you played an action, item, or support, creatures with Expertise get a bonus effect. Mobilize: You can play an item with Mobilize to an empty lane. When you do, summon a 1/1 Recruit and equip the item to it. Veteran: After a creature with Veteran first attacks and survives, get a bonus effect. Mentor’s Ring, Queen Berenziah, and Lion Guard Strategist now deliver multiple duplicate keywords at the same time. Fixed a shader issue that was hiding part of Edict of Azura’s VFX. Cornerclub Gambler and Ash Berserker’s ability activation SFXs now properly play every time they are activated. Embassy Guard’s card VO has now been restored. Vigilant Ancestor’s permanent shackle has been switched over to an aura effect. This means Dres Renegade will remove the shackle while on the board but the shackle will return when Dres Renegade leaves. Fixed an issue that was allowing Gardener’s Harvest to transform itself into the item it already was at the end of the turn. 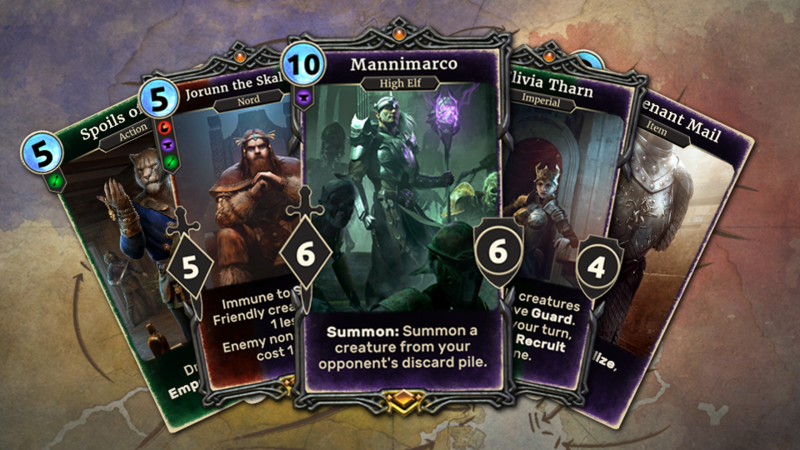 It is now possible to view your discard pile when minimizing the “Choose a card” prompt associated with Merchant’s Camel, Shadowmarking, and Mudcrab Merchant. The “Kicked by Player” message prompt now has an OK button. The alternate art for Lightning Bolt is now correctly labeled as “Grand Melee – December 2017” in the Collection. The alternate art for Morkul Gatekeeper is now correctly labeled as “Grand Melee – May 2018” in the Collection. Fixed an issue that was temporarily displaying the player’s card back as the default one at the beginning of every match. The “New” icon for newly obtained cards is now more visible with a different color treatment. The battle for the Ruby Throne begins on April 15! Sparkypants and Bethesda Softworks are excited to Alliance War, an all-new expansion for The Elder Scrolls: Legends! Featuring over 100 new cards, Alliance War is a pack-based expansion set in a time of great conflict – one that could forever change the continent of Tamriel! In addition to new cards, new factions and new mechanics, Alliance War will also enhance The Elder Scrolls: Legends with new visual effects, music tracks and a gorgeous playmat! Preorder Alliance War for The Elder Scrolls: Legends starting today for $49.99 and you’ll receive 50 card packs and a Legendary card from the expansion plus the exclusive ‘Warmonger’ title and a premium card back – all made available when the expansion goes live. Greetings, Outlander! I’m so excited to finally have players joining me here in Isle of Madness. You might be wondering how you got here, so I invite you to journey with me through tales behind the design of Madness.